On Thursday, in the aftermath of some of the strongest retail sales numbers in the past year, the Atlanta Fed raised its Q2 GDP Nowcast to 4.8%, one of the highest estimates for current GDP in series history. ... while Trump tweeted that the US economy is now the "greatest ever" with "the BEST jobs numbers in 44 years." 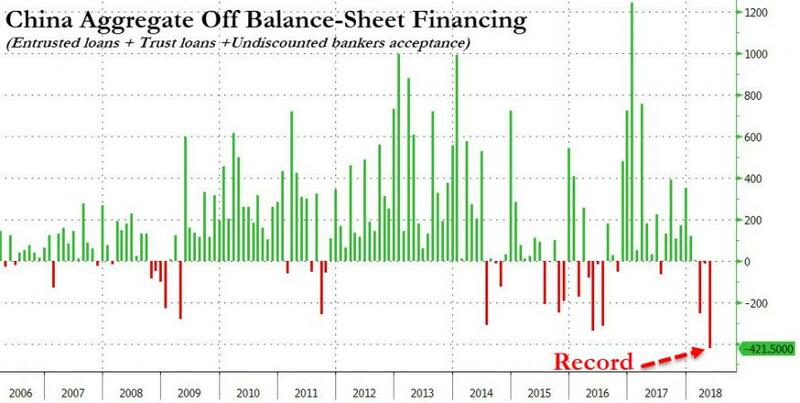 And while there is little doubt the US economy is firing on all fours, the main driver behind this is the recent fiscal stimulus, which as extensively discussed, produces a sugar high in the early innings - funded by hundreds of billions in additional debt - only to lead to a painful hangover in time. It's no surprise then, that according to David Kostin, the main topic dominating the Goldman chief equity strategist's recent meetings with equity investors is "The duration of the current US economic expansion." And here, unfortunately, Goldman believes that "this is as good as it gets" with Q2 GDP set to print a local high, and slowly but surely fade from here as the boost from the Trump fiscal stimulus fades. Ok fine, Q2 GDP will be a barnburner: that is hardly a surprise as after all, the economy had to show something for the upcoming avalanche of debt issuance. The question is what happens next? 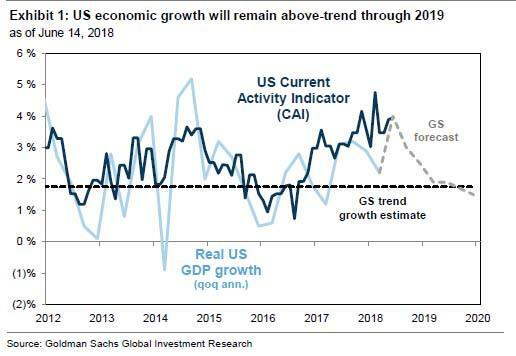 Here, Kostin answers that Goldman's economics team expects annual average economic growth to modestly decelerate but remain above-trend through 2019. At that point the US economy will gradually slowdown to trend, growing by 2.9% in 2018 and 2.2% in 2019 compared with an estimated trend pace of 1.8%. Worse, while the US economy is enjoying its sugar higher for now, the build up of imbalances means that strength now is at the expense of recession risks - with even more debt - rising in 2019 and 2020, just before the next presidential election. According to Goldman, the probability of a recession rises from just 4% during the next 12 months to 18% during the next two years and 32% during the next three years (corresponding to 2020). ... a direct consequence of the collapse in shadow credit growth inside the country. What does this means for risk assets? 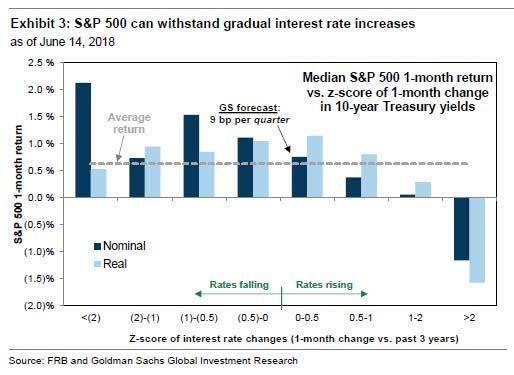 According to Goldman, absent any major shocks, "growth will support a 3% rise in the S&P 500 during the next six months to our year-end target of 2850. We forecast the index will climb another 5% to 3000 by the end of 2019 and reach 3100 by year-end 2020." The path of interest rates – short-term, long-term, and slope of the yield curve – represents the second major line of questioning from equity investors. GS economics forecasts the FOMC will tighten two more times during the second half of this year and four times during 2019, lifting the fed funds rate by 150 bp to 3.4% by year-end 2019. Meanwhile, long-term yields are projected to rise by a more modest 65 bp to 3.6%, resulting in a steadily flattening yield curve during the next 18 months. 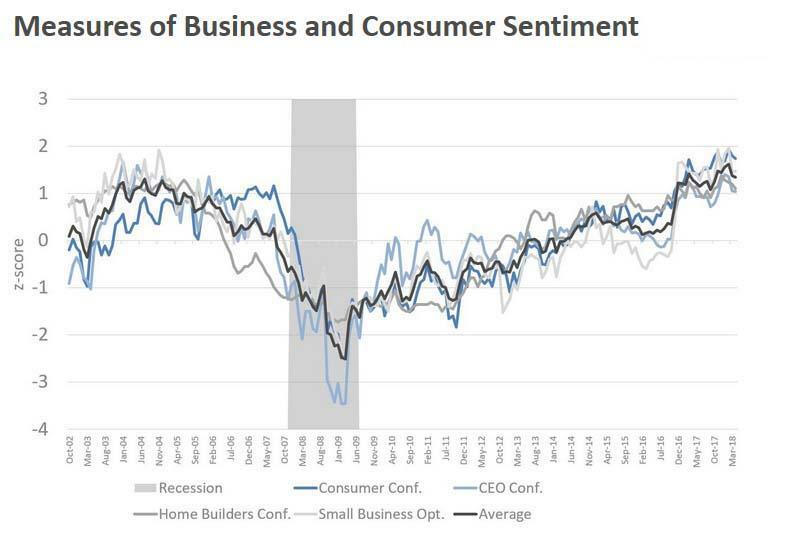 Conventional wisdom suggests that higher interest rates result in lower equity prices. Empirically, however, during the past 20 years equity valuations and returns have often risen alongside higher interest rates... History suggests that the equity risk premium (ERP) can decline by enough to offset rising interest rates as long as inflation remains centered around 2% and 10-year Treasury yields remain below 3.5%. When Treasury yields are below 3.5%, inflation is often relatively low and rising interest rates typically reflect improving economic activity. These conditions are constructive for equities and represent our baseline forecast for 2018. However, as bond yields approach 4%, the growth-inflation mix embedded in interest rates could weigh on equities. 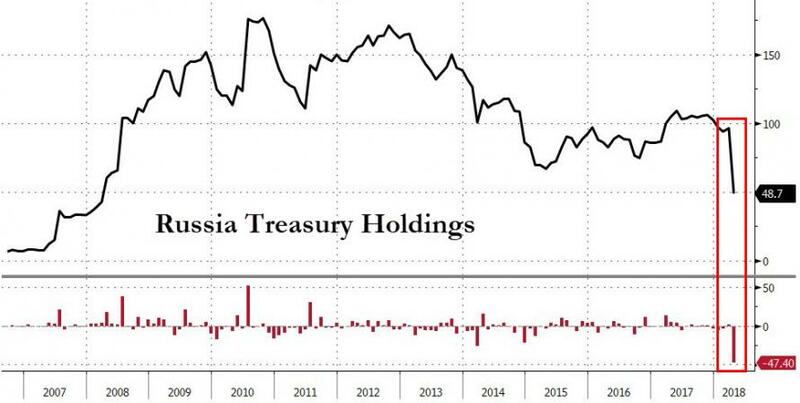 Additionally, Kostin reminds us that it is not just the level of the 10Y yields, it's how fast it is moving, something Russia tested out in April when it shockingly dumped half of its TSY holdings as we learned yesterday, explaining the sharp spike in yields in the second half of the month. In addition to the level, the pace of changes in Treasury yields matters for equities. Stocks have historically been able to absorb a moderate pace of interest rate increases. Equity returns have been weak when rates rise by more than one standard deviation in a month relative to the trailing three years. A one sigma monthly change translates into 20 bp currently. The relationship holds regardless of whether it is inflation- or real-rate driven. GS Economics forecasts nominal bond yields will climb by 65 bp in 18 months (an average monthly increase of just 3 bp!). He is right: as a reminder, the sharp spike in April yields which every pundit had a carefully crafted theory for except the correct one, that Russia was liquidating half of Treasury holdings, ended up hammering stocks. The good news is that we now have a template of what might happen when one (or more) nations start dumping US paper. 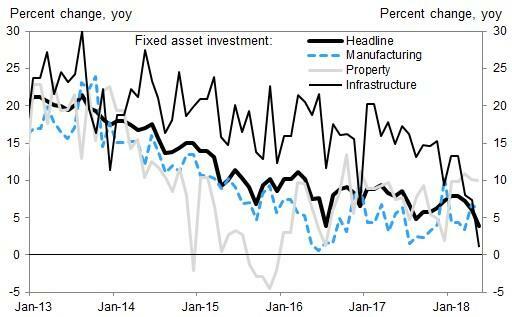 The bad news is that China has observed the outcome, and if Beijing really wants to hurt the US - both economy and capital markets - it knows just what to do.